Another milestone achievement for Inkk Mobile Fiji Limited as it launched its 4G LTE technologies services yesterday. 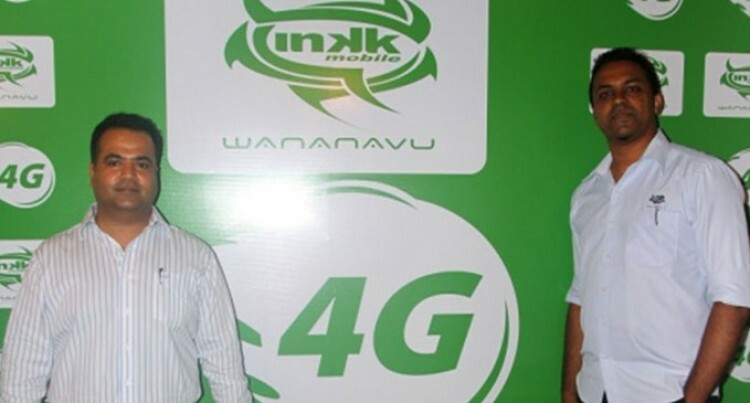 The launch of the Inkk 4G network at De Vos on the Park in Suva was to ensure Inkk Mobile offers a competitive edge. This is possible through the provision of the best and most affordable data products with the fastest mobile broadband connectivity in the market. Company chief executive, Paul O’Neile, was not present but sent a note that was read by the company general manager sales and marketing, Chandima Gunawardana. Mr O’Neile said they would now be able to offer a remarkable experience of fast internet at the most affordable prices to their customers. “We pride ourselves in offering the most competitive pricing and value for money to our customers,” he said. “Inkk Mobile has come a long way since its initiation seven years ago living up to its commitment of introducing the best mobile deals for our customers. The 4G network uses 1800MHz frequency. The rollout of Inkk’s 4G products have already started at its retail outlets and dealer locations, already stocked with 4G devices. Mr Gunawardana stressed the first phase of the roll out will have our 4G services available in most of Suva, Lami, Nausori and some parts of Nasinu and Nadi. “We are moving to the other locations in the second phase soon to allow all our customers to benefit from the 4G LTE technology. Inkk business development manager, Praneel Dutt said Inkk Mobile would be offering the fourth generation of wireless standards. “This simply means that Inkk 4G provides ultra-fast speeds and our customers get the fastest mobile internet experience,” Mr Dutt said. He highlighted that they basically want to switch customers from 3G to 4G so they get a feel of the new service with affordable deals. Inkk Mobile is leasing the network space from Vodafone Fiji without investing in network infrastructure so that it could offer no frills value for money mobile products and services. The company has 250,000 loyal customers who enjoy the best value for money deals with regular promotional deals. VALUEFONE Limited managing director Kevin Yuen said this new service would be launched today at his outlet and would also improve sales in the 4G range of mobile phones and devices.